You can use Intune and Windows Autopilot to set up hybrid Azure Active Directory (Azure AD)-joined devices. To do so, follow the steps in this article. Successfully configure your hybrid Azure AD-joined devices. Be sure to verify your device registration by using the Get-MsolDevice cmdlet. Be running Windows 10 with the October 2018 update. Have access to your Active Directory (VPN connection not supported). Undergo the out-of-box experience (OOBE). Be able to ping the domain controller of the domain you are trying to join. Sign in to the Azure portal and, in the left pane, select Azure Active Directory. Make sure that the users who deploy Azure AD-joined devices by using Intune and Windows are members of a group that's included in your MDM User scope. 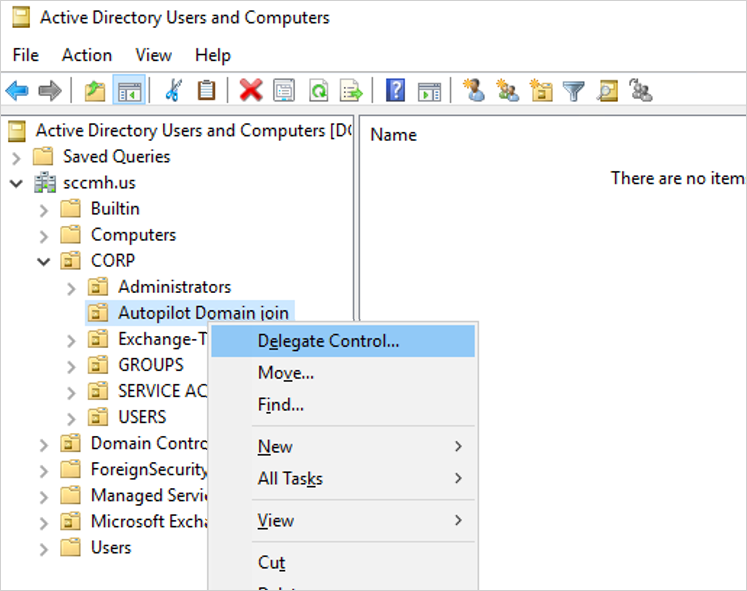 The Intune Connector for your Active Directory creates autopilot-enrolled computers in the on-premises Active Directory domain. The computer that hosts the Intune Connector must have the rights to create the computer objects within the domain. In some domains, computers are not granted the rights to create computers. Additionally, domains have a built-in limit (default of 10) that applies to all users and computers that aren't delegated rights to create computer objects. 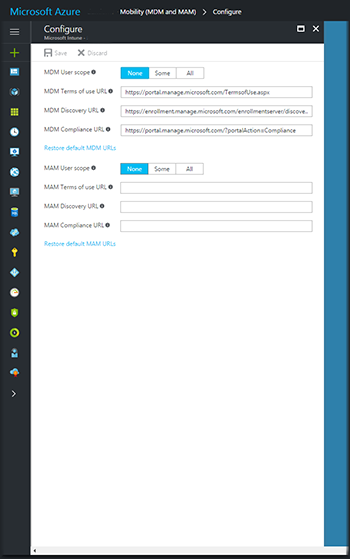 Therefore, the rights need to be delegated to computers that host the Intune Connector on the organizational unit where hybrid Azure AD-joined devices are created. The organizational unit that's entered in the Domain Join profile. If no profile is selected, the computer's domain name for your domain. Open Active Directory Users and Computers (DSA.msc). Right-click the organizational unit that you'll use to create hybrid Azure AD-joined computers, and then select Delegate Control. 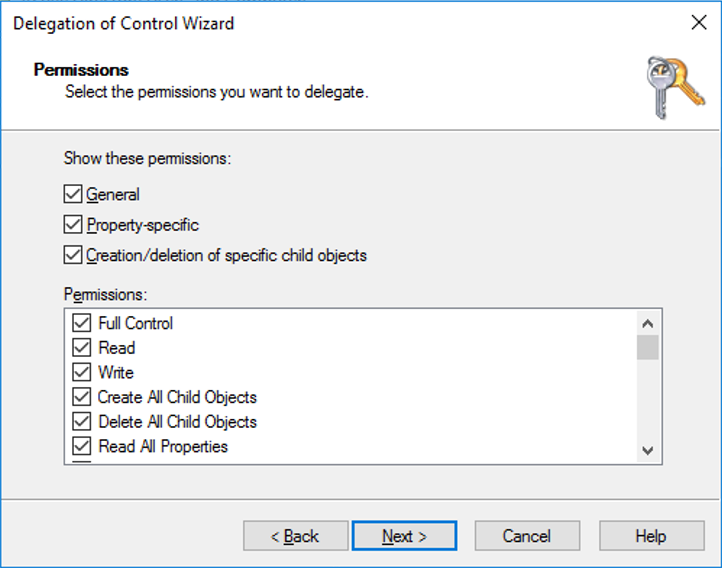 In the Delegation of Control wizard, select Next > Add > Object Types. 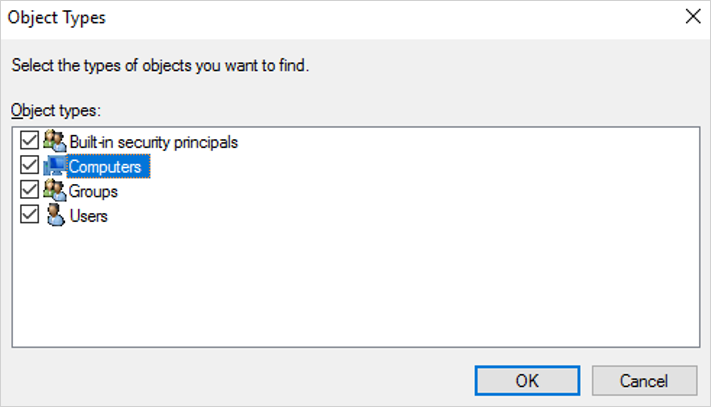 In the Object Types pane, select the Computers check box, and then select OK. In the Select Users, Computers, or Groups pane, in the Enter the object names to select box, enter the name of the computer where the Connector is installed. Select Check Names to validate your entry, select OK, and then select Next. Select Create a custom task to delegate > Next. 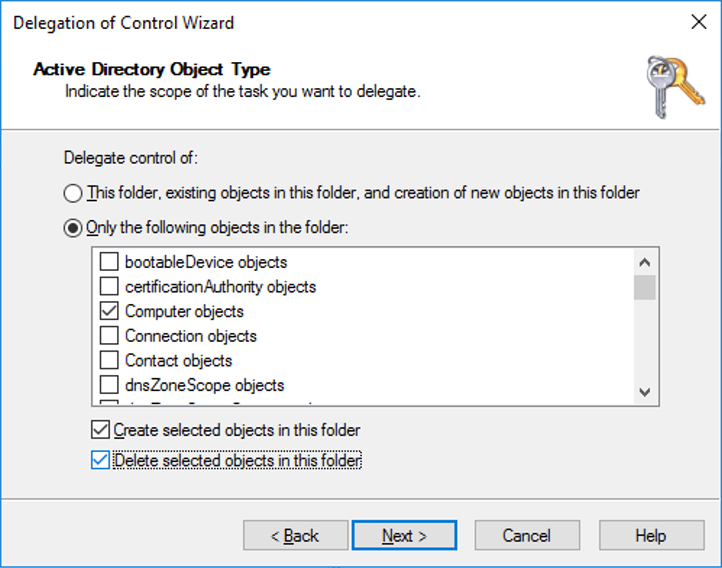 Select the Only the following objects in the folder check box, and then select the Computer objects, Create selected objects in this folder, and Delete selected objects in this folder check boxes. Under Permissions, select the Full Control check box. This action selects all the other options. Select Next, and then select Finish. The Intune Connector for Active Directory must be installed on a computer that's running Windows Server 2016 or later. The computer must also have access to the internet and your Active Directory. To increase scale and availability or to support multiple Active Directory domains, you can install multiple connectors in your environment. We recommend installing the Connector on a server that's not running any other Intune connectors. Make sure that you have a language pack installed and configured as described in Intune Connector (Preview) language requirements. In Intune, select Device enrollment > Windows enrollment > Intune Connector for Active Directory (Preview) > Add connector. Follow the instructions to download the Connector. Open the downloaded Connector setup file, ODJConnectorBootstrapper.exe, to install the Connector. At the end of the setup, select Configure. Enter the user Global Administrator or Intune Administrator role credentials. The user account must have an assigned Intune license. Go to Device enrollment > Windows enrollment > Intune Connector for Active Directory (Preview), and then confirm that the connection status is Active. After you sign in to the Connector, it might take a couple of minutes to appear in Intune. It appears only if it can successfully communicate with the Intune service. If you have a web proxy in your networking environment, ensure that the Intune Connector for Active Directory works properly by referring to Work with existing on-premises proxy servers. 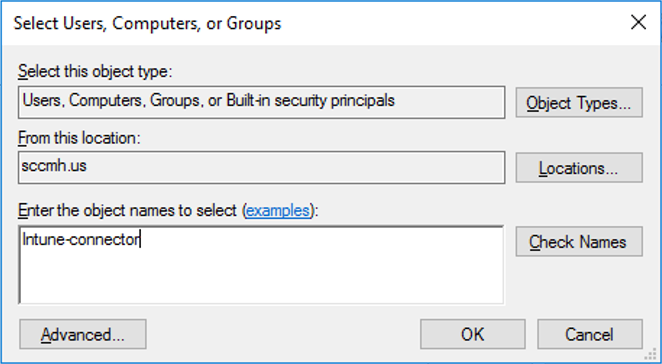 In Intune, select Groups > New group. a. For Group type, select Security. b. Enter a Group name and Group description. c. Select a Membership type. To create a group that includes all your Autopilot devices, enter (device.devicePhysicalIDs -any _ -contains "[ZTDId]"). To create a group that includes all your Autopilot devices with a specific order ID, enter (device.devicePhysicalIds -any _ -eq "[OrderID]:179887111881"). To create a group that includes all your Autopilot devices with a specific Purchase Order ID, enter (device.devicePhysicalIds -any _ -eq "[PurchaseOrderId]:76222342342"). Select one of the following ways to enroll your Autopilot devices. Create an Autopilot deployment profile with Convert all targeted devices to Autopilot set to Yes. Assign the profile to a group that contains the members that you want to automatically register with Autopilot. For more information, see Create an Autopilot deployment profile. If your devices aren't yet enrolled, you can register them yourself. For more information, see Add devices. If you're buying new devices, some OEMs can register the devices for you. For more information, see the Windows Autopilot page. 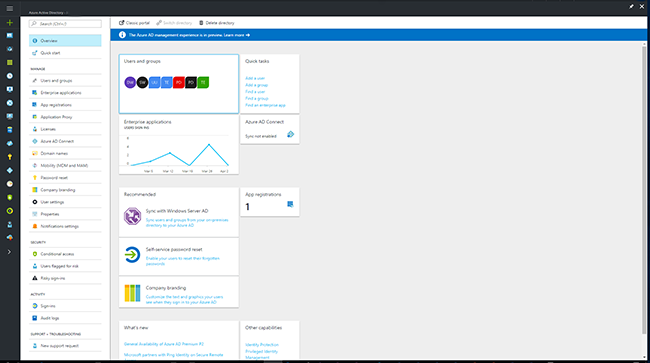 The Autopilot Devices pane in the Intune in the Azure portal. Select Device enrollment > Windows enrollment > Devices. 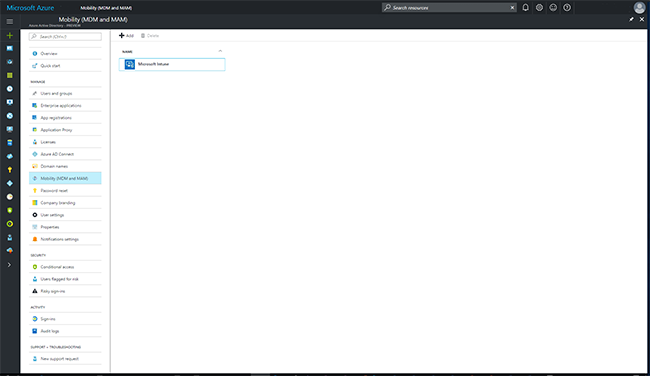 The Azure AD devices pane in the Intune in the Azure portal. Select Devices > Azure AD Devices. The Azure AD All Devices pane in Azure Active Directory in the Azure portal by selecting Devices > All Devices. The Azure AD All Devices pane in Azure Active Directory in the Azure portal. Select Devices > All Devices. The All Devices pane in the Intune in the Azure portal. Select Devices > All Devices. After your Autopilot devices are enrolled, their names become the hostname of the device. By default, the hostname begins with DESKTOP-. In Intune, select Device enrollment > Windows enrollment > Deployment Profiles > Create Profile. Type a Name and, optionally, a Description. For Deployment mode, select User-driven. 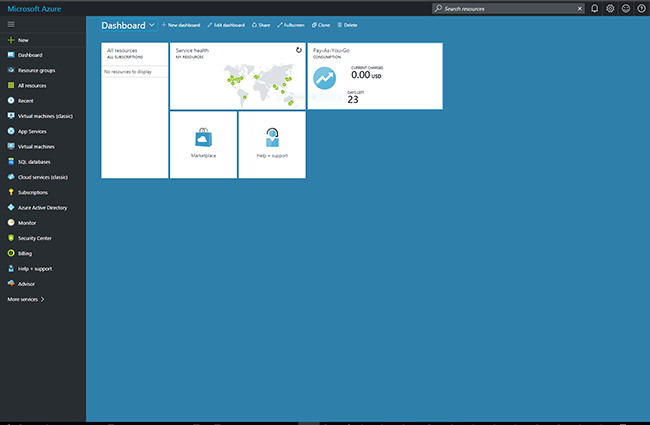 In the Join to Azure AD as box, select Hybrid Azure AD joined (Preview). Select Out-of-box experience (OOBE), configure the options as needed, and then select Save. Select Create to create the profile. In the profile pane, select Assignments. In the Select groups pane, select the device group, and then click Select. It takes about 15 minutes for the device profile status to change from Not assigned to Assigning and, finally, to Assigned. In Intune, select Device enrollment > Windows enrollment > Enrollment Status Page (Preview). In the Enrollment Status Page pane, select Default > Settings. In the Show app and profile installation progress box, select Yes. Configure the other options as needed. In Intune, select Device configuration > Profiles > Create Profile. Profile type: Select Domain Join (Preview). Select Settings, and then provide a Computer name prefix, Domain name, and (optional) Organizational unit in DN format. The profile is created and displayed in the list. To assign the profile, follow the steps under Assign a device profile. The naming capabilities for Windows Autopilot for Hybrid Azure AD Join do not support variables such as %SERIAL% and only support prefixes for the computer name. After you configure Windows Autopilot, learn how to manage those devices. For more information, see What is Microsoft Intune device management?.